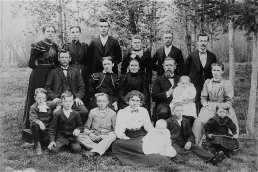 Frederik Nielsen (Nelson) and his wife Marie immigrated from Maribo County, Denmark in 1867 with their daughter Hannah. 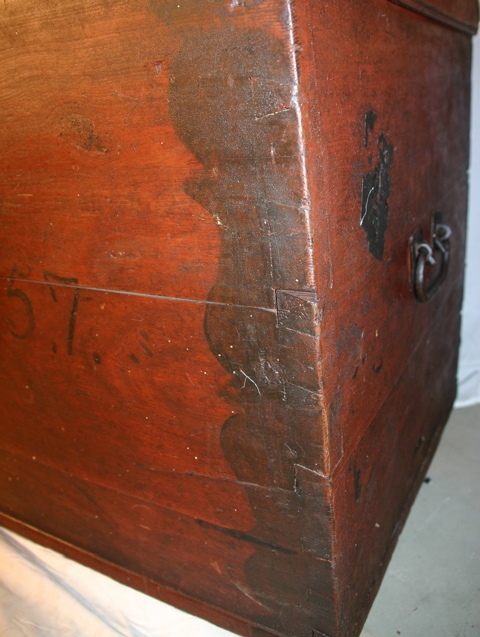 Like every other family making the journey to the new world, their lives were packed into a single wooden box. 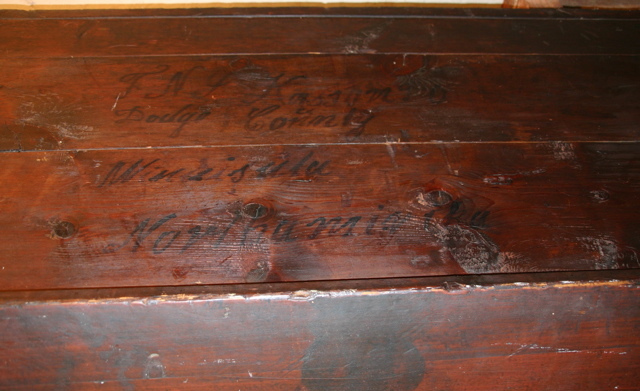 Here is the trunk that accompanied them on their journey. 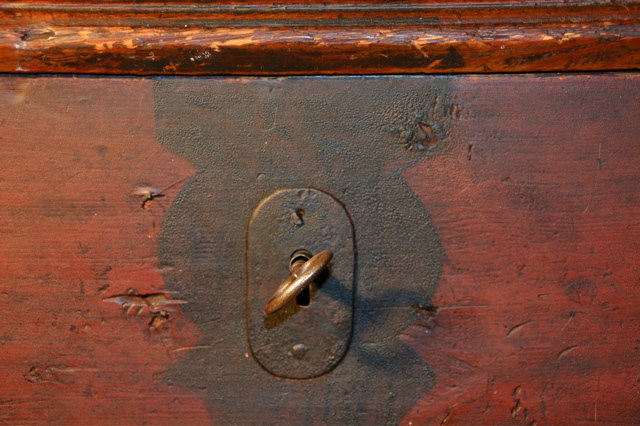 Frederik Nelson was the father of Alvilda Dagmar Nelson-Thimsen. Alvilda was married to Nis Thimsen's son, Frederick Peter Thimsen. 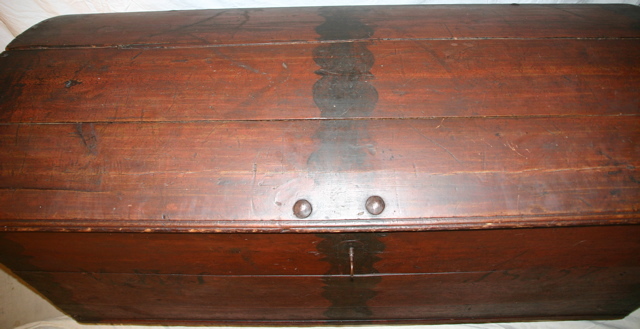 The trunk dates from 1857. 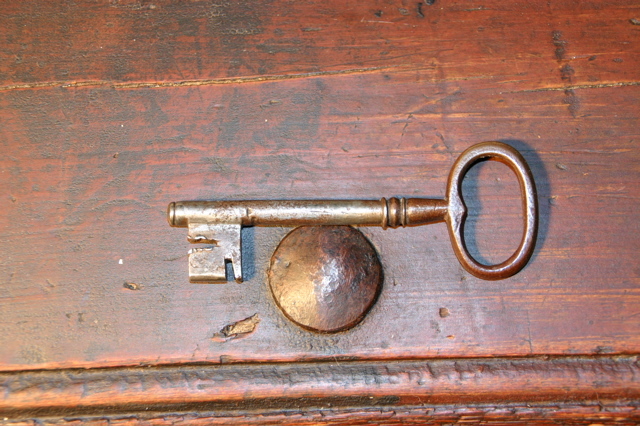 "Morten or Mads Nielsen" and was later used by Frederik Nielsen for the journey to America. 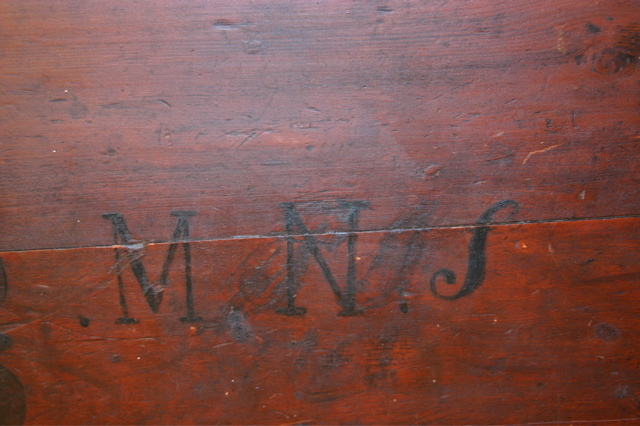 Initials on the left front M.N.S. 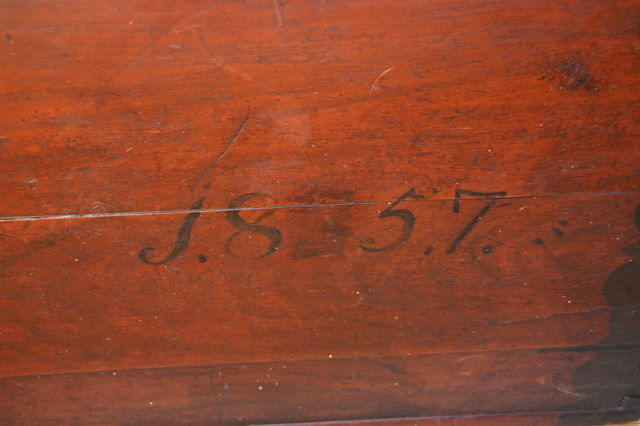 The trunk dates to 1857. 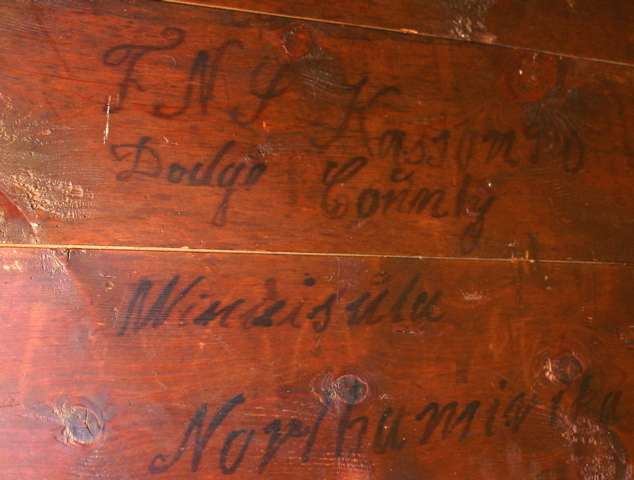 The Nelsons immigrated in 1867. 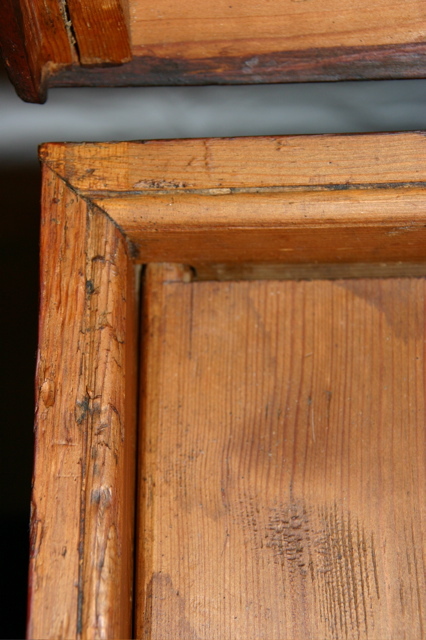 Corner view showing dovetailed joinery and imitation painted strapping. Cubby box built into the left side of the box. 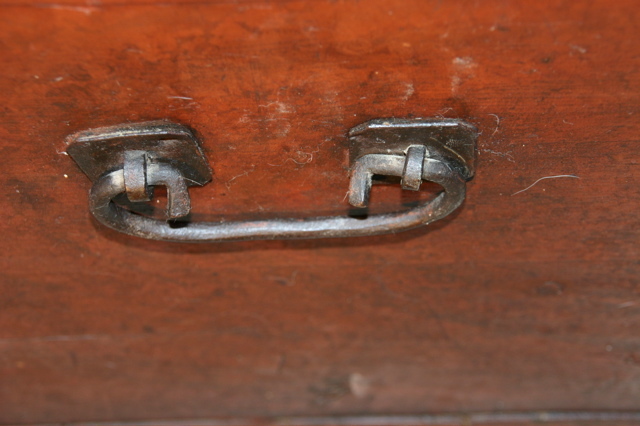 Cubby box hinge made from a simple pin fashioned on the ends of the lid fitting into holes on the inside surface of the trunk. F.N.S. (Frederik NielSen) Kasson P.O. A broader view of the address. These images generously provided by Mark Thimsen.